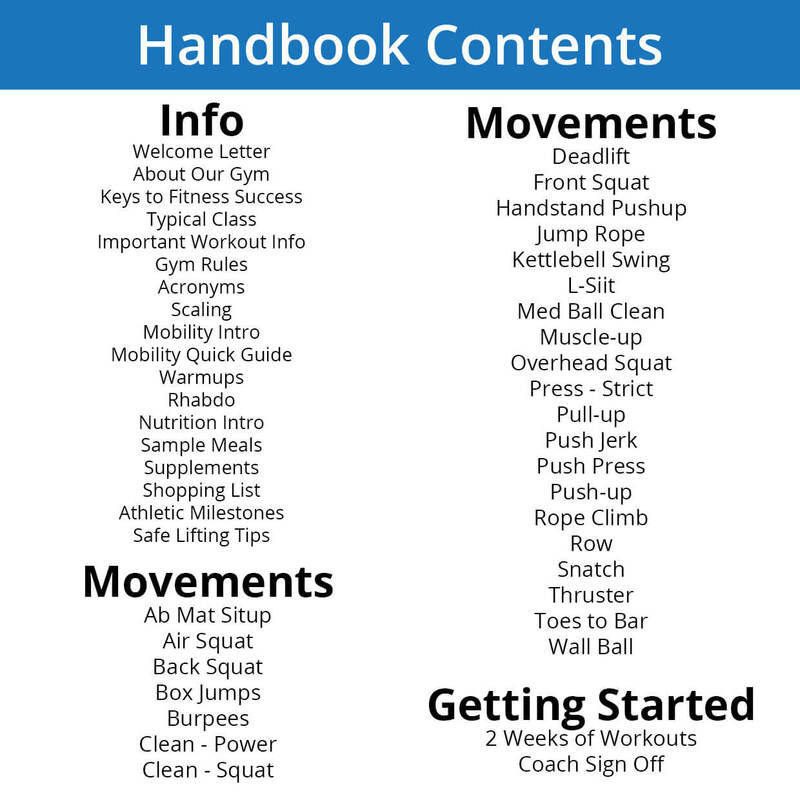 The Fitness Handbook is specifically tailored to help the new athlete learn the concepts of training, nutrition and movement. 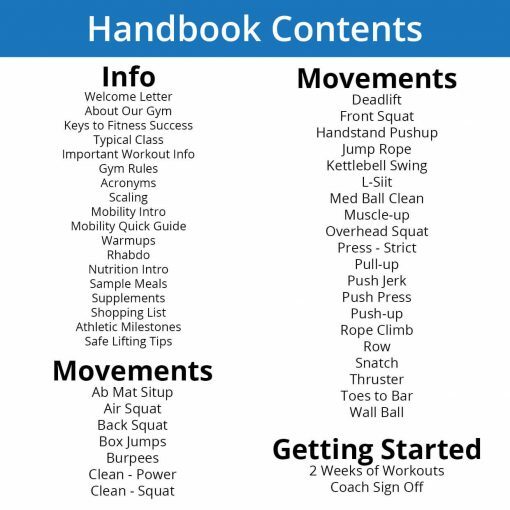 The Fitness Handbook is all about fitness basics. Sometimes we just want a little extra help, and this is what the Fitness handbook is all about. In it you will find visual and written cues for getting your mobility, nutrition and movement technique headed in the right direction. 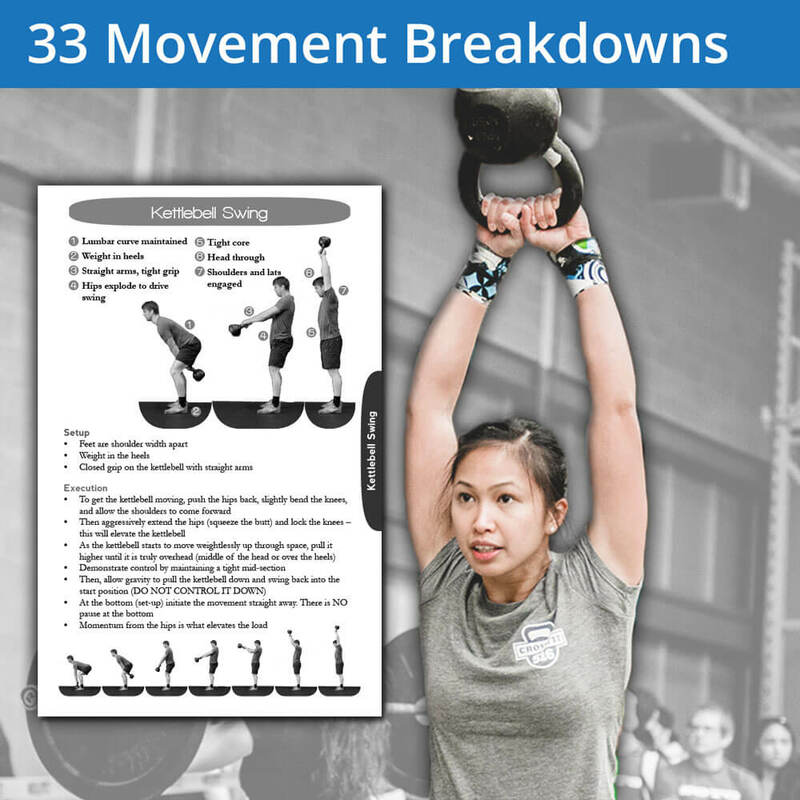 We’ve broken down over 33 major movements with visual and descriptive cues, given you background info on the methodologies you’ll encounter in a group fitness environment and included tips on getting your nutrition primed for the most weight loss and/or strength gain. 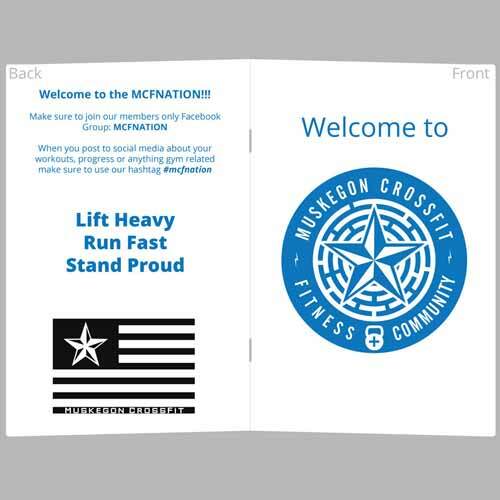 A perfect companion to one of the regular journals or primer for a person new to CrossFit. 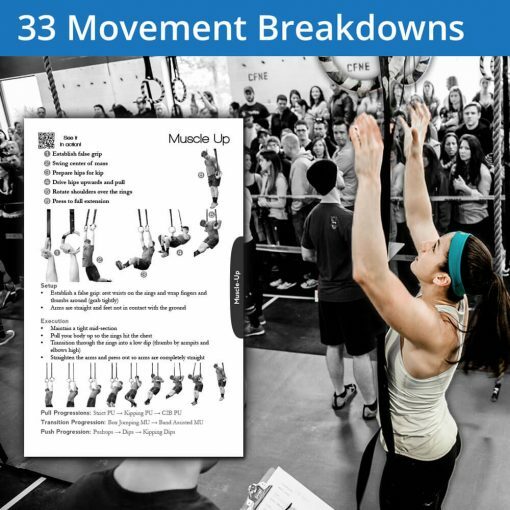 This Fitness handbook is perfect for someone just beginning their CrossFit journey or for those who want to nail down the basics and rock out some new PRs. Nutrition is one of the most important aspects of improving your fitness, body composition or overall health. We’ve included recipes, tips, guidelines and more for eating properly and priming your body for success. After locking in your nutrition game its time to figure out all that movement stuff. 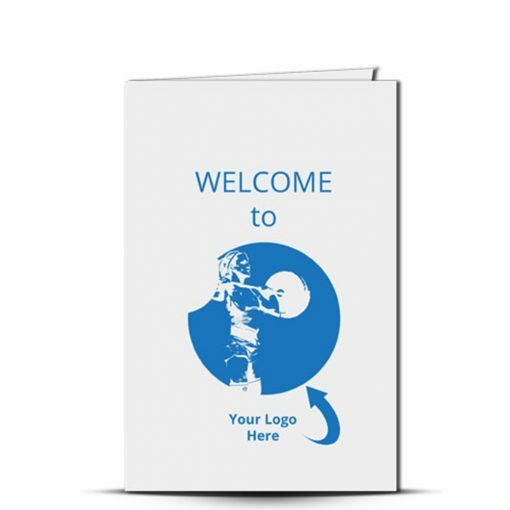 That’s where our written cues and instructions on stance and execution blend perfectly with visual step by step images to help you ‘get’ the movement, whether you are a visual or contextual learner. We want you to move right! Beyond nutrition and technique, we’ve filled these journals with a ton of other useful tidbits that will help you be a courteous and well-rounded athlete, with tools and information relevant to athletes of any caliber. 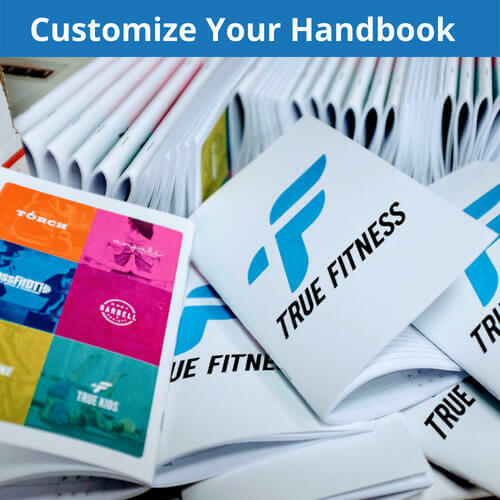 Get one of these Fitness Handbooks and take your fitness to the next level! Please inquire for additional customization! Discounts apply in the cart. Outstanding work! The content and layout are incredible and cover everything a beginner could possibly need! Journals differ based on workout page layout and PR Table layout. The Fitness Journal was created to help keep track of Strength and Conditioning workouts, Goals and Personal Records. The workout page helps you keep track of your nutrition, sleep, energy and hunger, while providing separate spaces for the strength and conditioning portions of your workout. 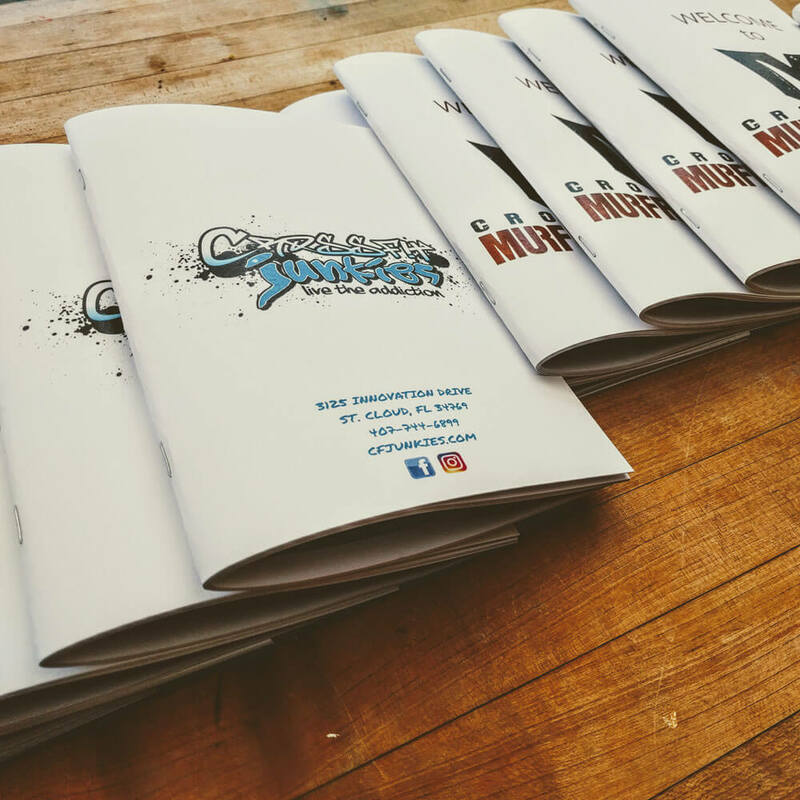 The WOD journal was designed to help you keep track of the classic WOD/Weightlifting session you’ll find in many CrossFit boxes. The workout page has room to record your daily progress on nutrition, sleep and performance, with tables for recording your WODs and weightlifting. The Weightlifting Journal is built to help you keep track of your movements, sets and reps in addition to your goals and weightlifting history. 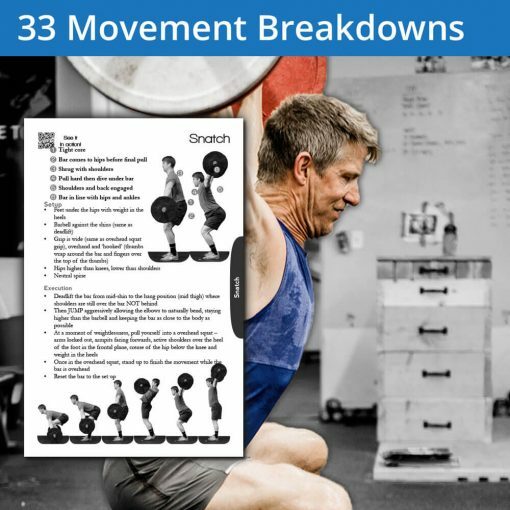 The workout page has a large table for keeping track of the different sets for each movement and plenty of space for recording your notes and progress. The Running/Endurance Journal is based on keeping track of your pace, distance and training program, making this the perfect journal to stick to the plan. The workout page is focused on pace, distance and cross-training.